Waves have been made in the computer enthusiast world by the onslaught of cheap, Korean monitors that supposedly offer huge value over their domestic competitors. I am here to tell you the claims around the internet are true; there is no better bang-for-your-buck than the Korean monitors that are being offered for sale on eBay and Amazon. The QNIX QX2710 Evolution ll is the king of the Korean monitors. We jointly purchased four QNIX QX2710LED monitors. They shipped directly from Korea and arrived quickly (I believe it was three days from Korea to our door) wrapped in foam. 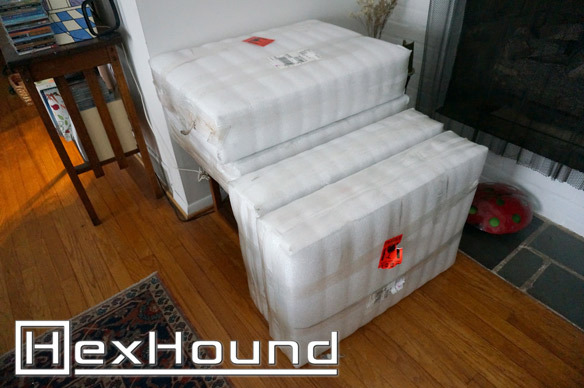 Jared previously ordered a fifth QNIX from the same seller and it arrived duty free; however, UPS demanded a customs duty for this batch of monitors. I believe this to be a mistake on UPS’ part as the US has a free trade agreement with Korea, but it is something to be aware of. The customs fee came to about $9 per display. These are barebones monitors, but include cables for all the available connections – even the 1/8″ stereo cable! Our seller threw in the US power cables, your mileage may vary. The stand for the monitor is flimsy, but it does allow for limited angle adjustment. For those who cannot live with the stand or want to wallmount their screens, a 100 x 100 VESA mount is available. See our unboxing video below for more information. The QNIX QX2710 Evolution ll requires a dual-link DVI port to function properly. These cannot be visually identified; consult your graphics card specifications before ordering. There is an unsupported work around for those that only have HDMI ports and/or single-link DVI ports that I will get to. A displayport version of the QX2710 also exists and sells for a premium. With dual-link DVI, setup is a cinch. Simply connect the power, dual-link DVI ports, and optional audio and you’re done. Really! Be sure your resolution is set to the native 2560 x 1440 pixels. I do not have calibration equipment on hand, however, I have been told the QNIX displays accurate colors out-of-the-box and it does seem to be consistent (actually better) than my Dell Ultrasharp U2412M. I noted moderate backlight bleeding at the bottom of all the QNIX monitors consistent with other internet reviews. In practice, the bleeding is hardly noticeable and the panel looks BEAUTIFUL. All our QNIX monitors arrived with no dead pixels, as promised by the “perfect pixel” guarantee. My QNIX QX2710 s are running on a flashed Sapphire HD6950 which has one dual-link and one single-link DVI port available. This means it only supports one QNIX monitor and not the two I paid for. Fear not! There is a solution that you can try at your own risk. Using a “pixel clock patcher,” you can override your graphics card drivers to allow the overclocking of the DVI links. This is normally done to allow high refresh rates, like 2560 x 1440 @ 120 Hz, but it also allows you to run a high resolution display over a single DVI link at normal refresh rates. Single-link DVI supports a maximum resolution of 1920 x 1200 @ 60 Hz with reduced blanking enabled. This translates to pixel clock of 154 Mhz, close to the maximum as outlined by the DVI specification. 2560 x 1440 @ 60 Hz requires 241.5 MHz of bandwidth which is normally delivered over two DVI links, each at 121.75 Mhz. This is where the pixel clock patcher enters the picture – it patches the display drivers to allow a pixel clock greater than 165 Mhz; in practice, many top-tier consumer graphics cards can deliver a pixel clock of upwards of 300 Mhz per link, plenty for 2560 x 1440 @ 60 Hz. To patch your drivers, follow the links below. With the patch installed and your computer rebooted, your display should now connect over a single-link DVI connection; this includes all HDMI ports too. The part that follows involves some trial and error as we will be running about 80 MHz above DVI specifications and most DVI cables will not work properly. When the cable and/or monitor and/or video card cannot keep up with the higher pixel clock, your display will show graphics “artifacts.” This can look like a loose cable or as if the monitor is dying; don’t worry, this is normally fine and will go away once the problem is resolved. I tried three different DVI cables, one single-link and two dual-link, without success; all displayed a picture with heavy artifacts. 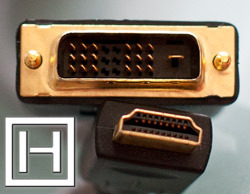 An HDMI to DVI cable or adapter is probably a better bet as HDMI 1.3 supports much more bandwidth than DVI. I am currently using an old Philips HDMI->DVI cable with success. These Korean displays can also be overclocked, a rarity among LCD monitors. The overclocking process is similar to using a single-link DVI port to drive the monitor, but you would use a dual-link DVI port and a program called CRU to force a higher refresh rate. Nvidia cards have a built-in overclocking mechanism that does not require CRU, but it still requires the pixel clock patch. The QNIX QX2710 Evolution ll is still the king when it comes to overclocking, with nearly all examples perfect at 96 Hz and many holding up at 120 Hz and beyond! This makes the monitor very responsive for gaming. How do I get the drivers for this monitor mine didn’t come with any drivers.